Wireless networks are accessible to anyone within the router’s transmission radius. This makes them vulnerable to attacks. Hotspots are available in public places such as airports, restaurants, parks, etc. In this tutorial, we will introduce you to common techniques used to exploit weaknesses in wireless network security implementations. We will also look at some of the countermeasures you can put in place to protect against such attacks. A wireless network is a network that uses radio waves to link computers and other devices together. The implementation is done at the Layer 1 (physical layer) of the OSI model. 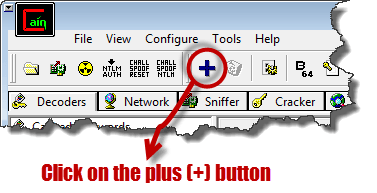 How to access a wireless network? You will need a wireless network enabled device such as a laptop, tablet, smartphones, etc. You will also need to be within the transmission radius of a wireless network access point. Most devices (if the wireless network option is turned on) will provide you with a list of available networks. If the network is not password protected, then you just have to click on connect. If it is password protected, then you will need the password to gain access. Since the network is easily accessible to everyone with a wireless network enabled device, most networks are password protected. Let’s look at some of the most commonly used authentication techniques. WEP is the acronym for Wired Equivalent Privacy. It was developed for IEEE 802.11 WLAN standards. Its goal was to provide the privacy equivalent to that provided by wired networks. WEP works by encrypting the data been transmitted over the network to keep it safe from eavesdropping. Open System Authentication (OSA) – this methods grants access to station authentication requested based on the configured access policy. Shared Key Authentication (SKA) – This method sends to an encrypted challenge to the station requesting access. The station encrypts the challenge with its key then responds. If the encrypted challenge matches the AP value, then access is granted. WEP has significant design flaws and vulnerabilities. The integrity of the packets is checked using Cyclic Redundancy Check (CRC32). CRC32 integrity check can be compromised by capturing at least two packets. The bits in the encrypted stream and the checksum can be modified by the attacker so that the packet is accepted by the authentication system. This leads to unauthorized access to the network. WEP uses the RC4 encryption algorithm to create stream ciphers. The stream cipher input is made up of an initial value (IV) and a secret key. The length of the initial value (IV) is 24 bits long while the secret key can either be 40 bits or 104 bits long. The total length of both the initial value and secret can either be 64 bits or 128 bits long.The lower possible value of the secret key makes it easy to crack it. Weak Initial values combinations do not encrypt sufficiently. This makes them vulnerable to attacks. WEP is based on passwords; this makes it vulnerable to dictionary attacks. Keys management is poorly implemented. Changing keys especially on large networks is challenging. WEP does not provide a centralized key management system. WPA is the acronym for Wi-Fi Protected Access. It is a security protocol developed by the Wi-Fi Alliance in response to the weaknesses found in WEP. It is used to encrypt data on 802.11 WLANs. It uses higher Initial Values 48 bits instead of the 24 bits that WEP uses. It uses temporal keys to encrypt packets. Pre-shares keys use passphrases. Weak passphrases are vulnerable to dictionary attacks. Passive cracking– this type of cracking has no effect on the network traffic until the WEP security has been cracked. It is difficult to detect. Active cracking– this type of attack has an increased load effect on the network traffic. It is easy to detect compared to passive cracking. It is more effective compared to passive cracking. WPA uses a 256 pre-shared key or passphrase for authentications. Short passphrases are vulnerable to dictionary attacks and other attacks that can be used to crack passwords. 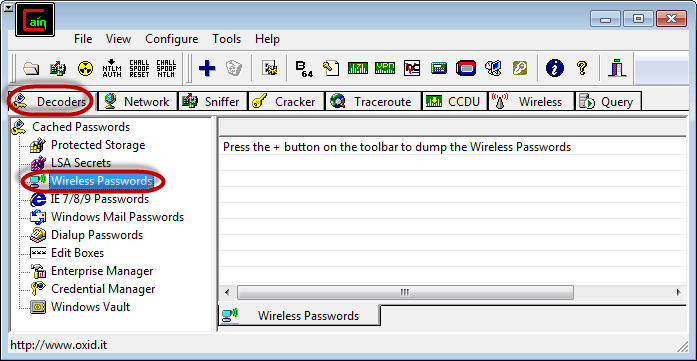 The following tools can be used to crack WPA keys. Sniffing– this involves intercepting packets as they are transmitted over a network. The captured data can then be decoded using tools such as Cain & Abel. 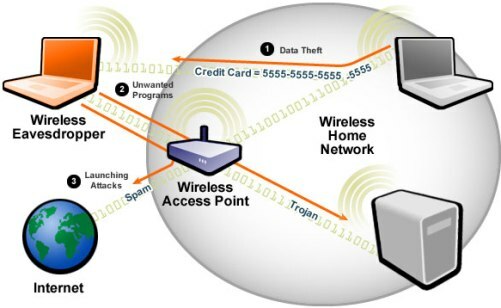 Man in the Middle (MITM) Attack– this involves eavesdropping on a network and capturing sensitive information. Denial of Service Attack– the main intent of this attack is to deny legitimate users network resources. FataJack can be used to perform this type of attack. It is possible to crack the WEP/WPA keys used to gain access to a wireless network. Doing so requires software and hardware resources, and patience. The success of such attacks can also depend on how active and inactive the users of the target network are. We will provide you with basic information that can help you get started. Backtrack is a Linux-based security operating system. It is developed on top of Ubuntu. Backtrack comes with a number of security tools. Backtrack can be used to gather information, assess vulnerabilities and perform exploits among other things. Be within the target network’s radius. If the users of the target network are actively using and connecting to it, then your chances of cracking it will be significantly improved. Sufficient knowledge of Linux based operating systems and working knowledge of Aircrack and its various scripts. Patience, cracking the keys may take a bit of sometime depending on a number of factors some of which may be beyond your control. Factors beyond your control include users of the target network using it actively as you sniff data packets. Access to the network can be restricted by allowing only registered MAC addresses. Use of strong WEP and WPA-PSK keys, a combination of symbols, number and characters reduce the chance of the keys been cracking using dictionary and brute force attacks. Firewall Software can also help reduce unauthorized access. In this practical scenario, we are going touse Cain and Abel to decode the stored wireless network passwords in Windows. We will also provide useful information that can be used to crack the WEP and WPA keys of wireless networks. Download Cain & Abel from the link provided above.